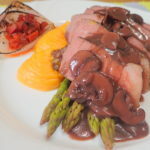 SousVide Beef brisket steak (28 hours), roasted banana shallots, creamy butternut squash, buttered asparagus, pickled roasted red peppers served with a red wine mushroom sauce. I promised my boy lollipop that he will be getting only English food this week. 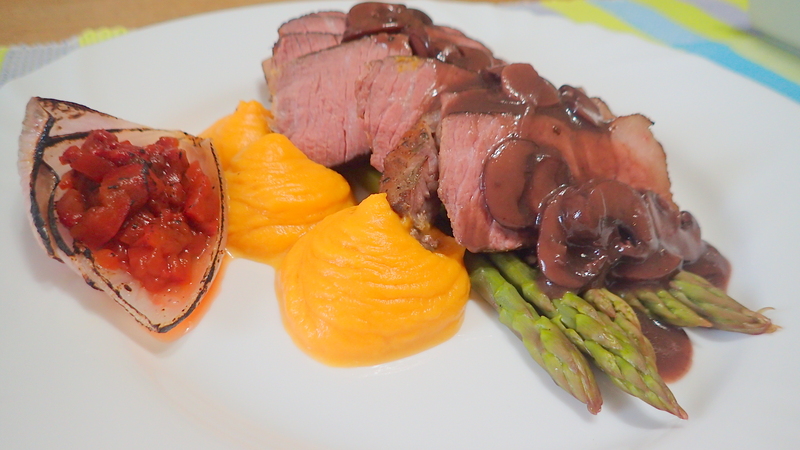 Hence my SousVide machine has come out to play. I bought some beef brisket as they looked very nice and I do not mind beef brisket cooked SousVide as they are quite a tasty cut. 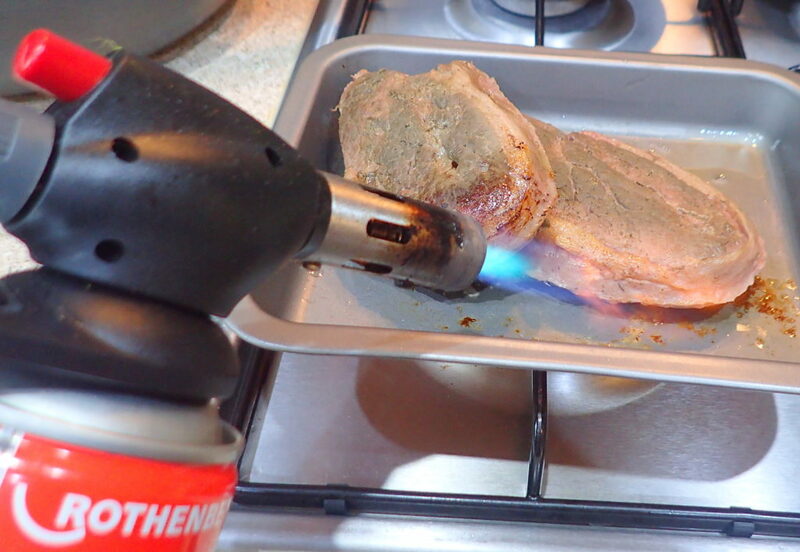 However cooked normally it could be quite tough. 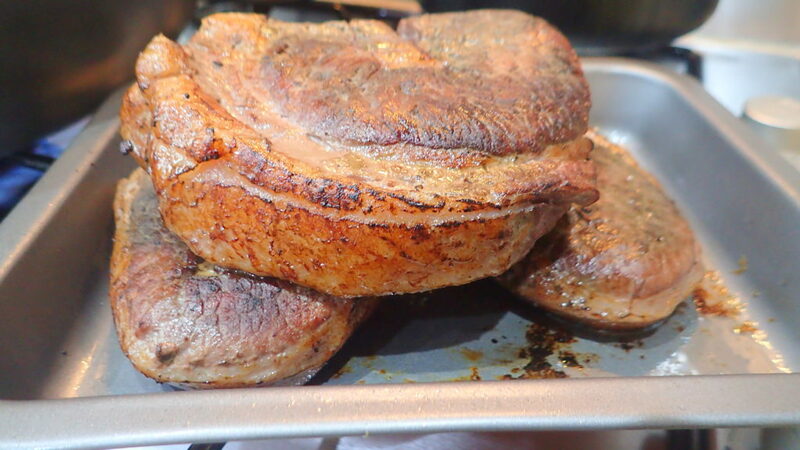 This beef brisket steaks were about 3 cm thick but when SousVide at 140F for 28 hours they were really tasty and tender. 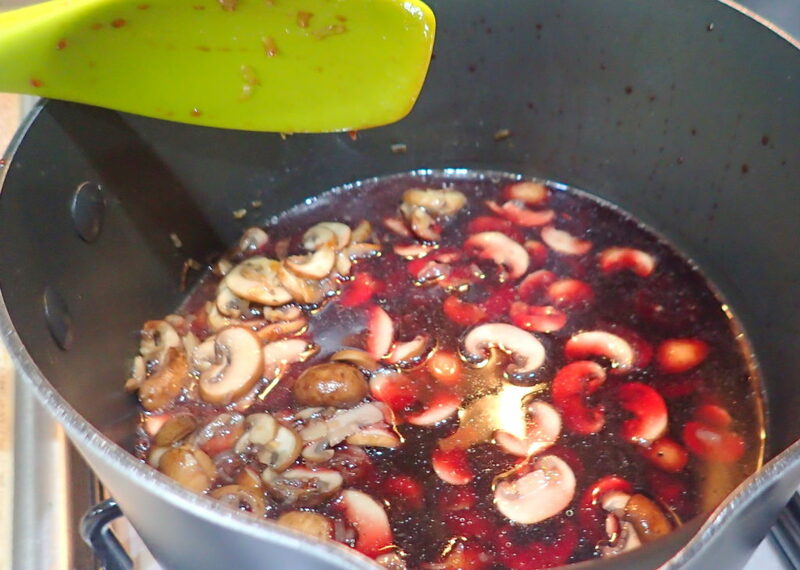 Add in the red wine. 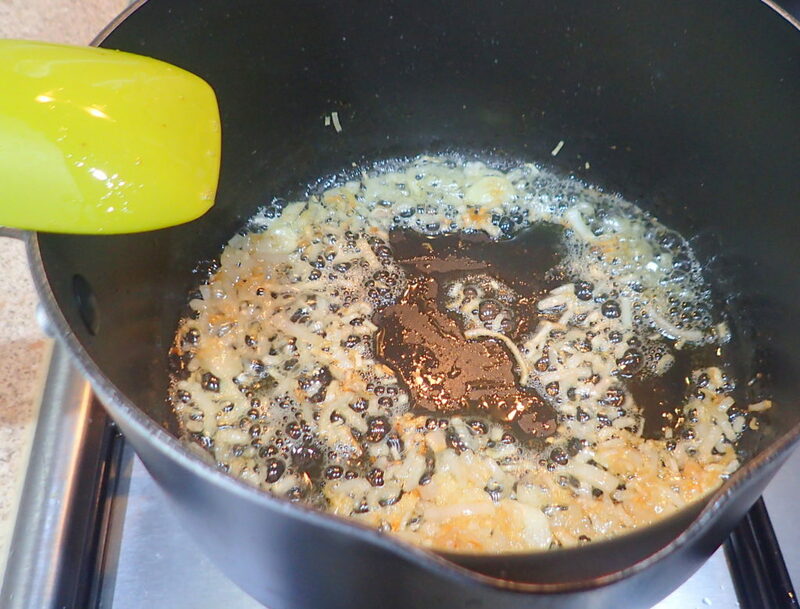 Reduce to half by boiling before adding the beef stock. After adding the beef stock let it reduced to half by boiling. 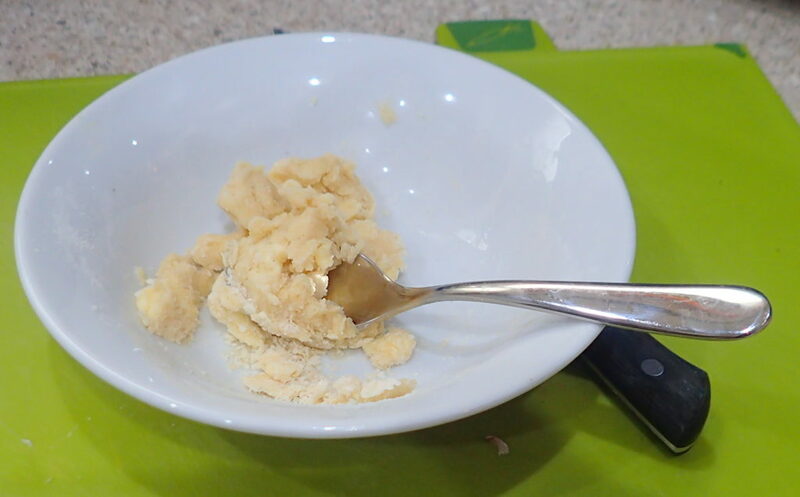 Add the roux slowly and stir till it reach the consistence you want. 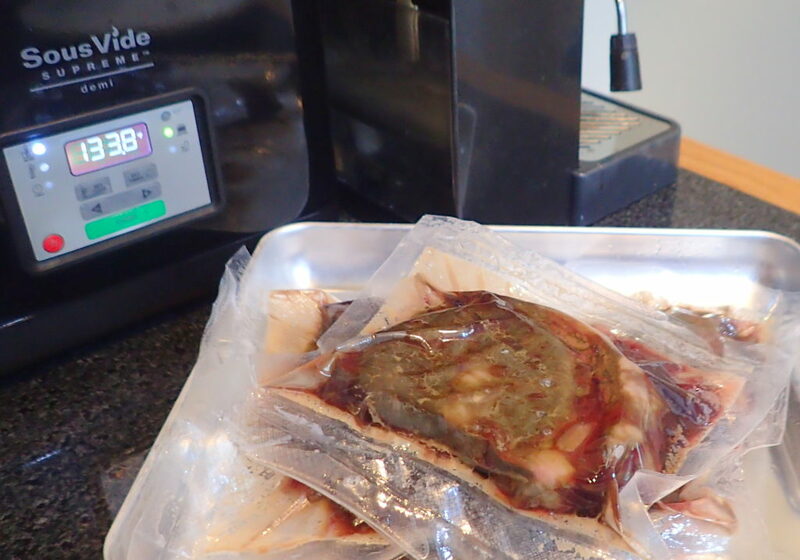 When done, add in any excess juice from your beef SousVide and a slice of butter for a glossy jus. 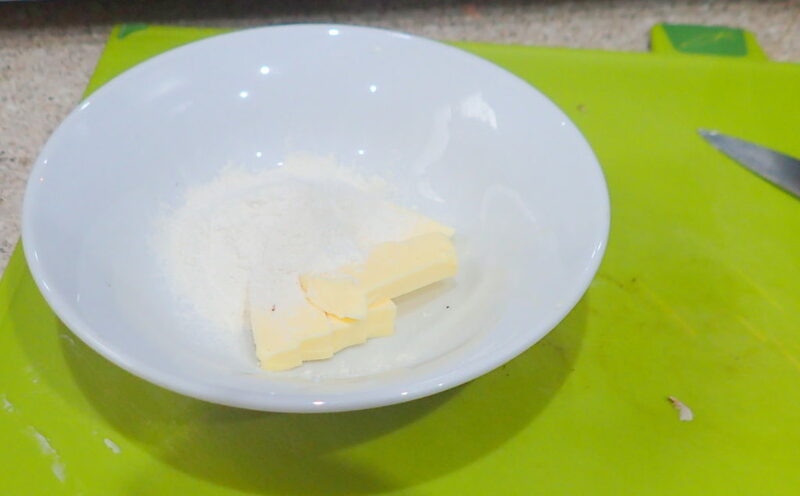 Just blanch in hot water and just laced with butter.